Does anyone else think of the Friends episode when they hear Elton John’s “Hold Me Closer, Tiny Dancer”? Because…because that’s what I think. 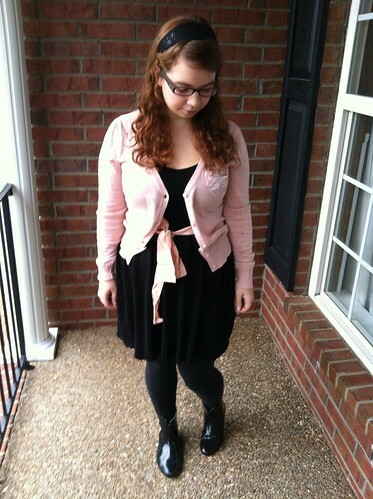 This is probably not a very classy outfit, but it was warm and comfortable for a rainy day. I felt like a small and slightly dumpy ballerina. Originally this dress was a bubble hem, but it looked awful, so I took it out. and now it looks…slightly less awful? I think? I don’t know. It’s just comfy and ballerina-looking.